The April meeting will be at 6:30 pm on the 20th at the University of Tennessee Space institute, room H111. If you didn’t know, April is National Woodworking Month and has been since about 1990. At first, I thought we should celebrate in some way. But then I realized, as far as TVW folk are concerned, every month is National Woodworking Month! So, set off some fireworks, have a picnic, or do whatever you do to celebrate. But I think I’ll go to the shop and celebrate there! Welcome to new member, Meg Garret, who joined the club at the March meeting. Tom Cowan Turning Bee- Regrettably, the Tom Cowan Turning Bee (scheduled for April 21st) has been postponed until sometime in the fall. The host, Larry Wendland, is suffering from a torn rotator cuff that will require surgery and a lengthy recovery time. Please remember Larry in your thoughts and prayers. Shop Tour – We don’t have a chairman for shop tours at this time, but somehow a great lineup has come together. On April 21st, Tom Gillard and Jack Kincella have agreed to be hosts for a tour. We’ll meet at Hardy’s in Tullahoma for a quick breakfast, then move to Tom Gillard’s new shop. After that, we’ll move to Jack’s shop where he will demonstrate a method of French polishing that doesn’t require shellac. More details at the April meeting. Annual Tool Sale – The second Annual Tool Sale is scheduled for Saturday, May 19th. The location will be the gym at the Decherd Church of the Nazarene. Vendors can set up Friday evening at 6:30 before the event. Tables will be provided and power is available. Bring your own extension cords. This is a great time to clean out the shop and turn those unused tools and accessories into cash. Also, a good time to fellowship and find a few gems in the rough. We will open to the public 8:00 am Saturday morning till around noon. The Splinters Carvers meet at Jim Jolliffe’s shop on the first and third Saturday's of the month from 8:30 am to 10:30 am. The shop is located at 201 Jolliffe Acres Ln, Tullahoma. We have tools and wood, just bring yourself and try your hand at carving! Thanks to Paul Jalbert for submitting a picture of the carvers at work and one of the carvings in progress. Geoff Roehm using slides showed his working on program to make guitar head peg hole. He explained the process and need. He also showed a mandolin made of curly maple with a spruce top. Vince Zaccardi brought several bowls. One was made from cedar finished with spray sanding sealer and lacquer. Another was a bowl made of walnut with the bottom of maple giving it a unique design. Vince also showed a square display plate finished using Beall Buffing System and a very decorative flower arrangement holder. John Hartin showed a very pretty large bowl made from a magnolia limb. He explained that it starts off white and turns gray. The top of bowl he added 5 pieces of darker wood to add to design. Doyle McConnell brought a set of pepper mills made from a walnut limb. Not finished. Ross Roepke had a nice box made using moulding. Made of cherry and maple. Bob Addington showed a nativity scene made using CNC. Bob said he will make a larger one. Paul Jalbert brought a hand carved barrel top wall hanger made for a family. Made with poplar lumber with light walnut stain and poly sealer. Gary Runyon had a cricket table made with curly cherry, finished with 5 coats of min wax oil. A feature of the table is that part of the top folds down making it a triangle top. Judy Bennett displayed some beautiful intarsia she made while in Fla. A lighthouse made with spaulted cherry, cedar, and maple. Another piece was a butterfly and flower made with poplar, maple, mahogany and black walnut. She also had a flower, an iris, made with poplar, purple heart, maple, oak, and mahogany. Finish Deft poly. Gary Bennett showed 2 bowls. One made of spaulted maple, the other of cherry. Finished with wipe on poly. Jim Jolliffe brought a couple carvings. A cottonwood bark art piece of a house finished with 2 coats of satin lacquer. Also had a Indian carving. He used pine gel stain, mat lacquer, and liquid wax. Chuck Taylor brought a scroll sawn animal train. Micky Knowles showed two bowls. One was made from plum which had a pretty color. The other was a larger bowl made of walnut. Finish with sanding sealer and spray lacquer. He also had a piece he called Tree of Flowers which was a cross on a stand made with pine, walnut, and tree of heaven. Why Do We Like Woodworking? Well, guess what? There are actual, clinically verifiable reasons why you and I like woodworking, according to University of Chicago psychologist Mihaly Csikszentmihalyi, and explained in his book, "Flow: The Psychology of the Optimal Experience." See if these "elements of enjoyment" describe your woodworking "optimal" experience. 1) You like woodworking because it's a challenging task. It's not simple enough to get boring, and it's not complicated enough to create anxiety. 2) Merging of action and awareness. You're just in their doing it. You're not conscious of yourself standing in your shop "woodworking." You are simply a part of the process and the woodworking happens. 3) Clear goals. You know exactly what you want to build, how you want it to look. How many other things are this clear cut in your life? 4) Immediate feedback. You look at what you're doing and you know that it's right (or wrong), the joint fits or it doesn't. 5) High degree of concentration. You're absolutely into it. Most things that would distract you go unnoticed. 6) Altered sense of time. I'm not really aware of how much time has passed until my wife comes down to my shop and says, "Are you EVER coming up to dinner?" 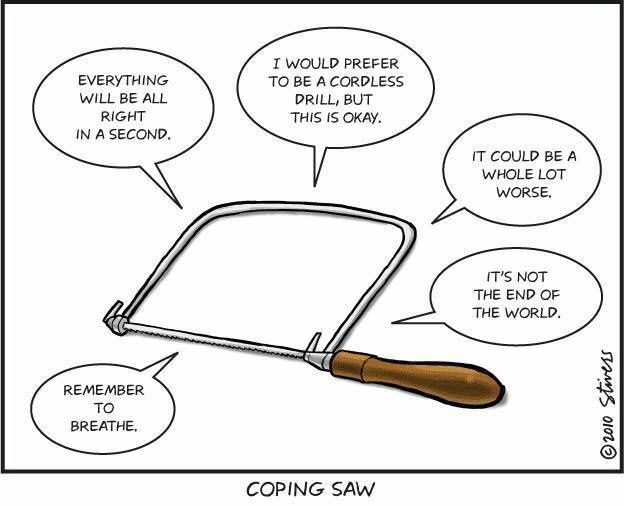 There are other elements of optimal experience, and you don't have to experience all of them to enjoy woodworking. And this sort of analysis can explain why you find happiness in other activities besides woodworking. But when I read this, I recognized something that I think applies to most woodworkers. So, the next time someone asks you why you like woodworking, you can say, "There are several reasons I like woodworking, six of them to be exact. First, it's a challenging task..."
The Board Stretcher has always been an elusive prank played on newbies and novices... until now! Next Level Carpentry was selected from all the other Carpentry/Woodworking/DIY Channels on YouTube for exclusive promotion of this revolutionary new machine: the BS1000 Board Stretcher by DuhWALT. Be the first to see it operate in this video then show it to YOUR boss and friends... it is truly unbelievable! As noted earlier, the club needs a chairman for Shop Tours. Contact Paul Jalbert if you’re interested.